Basic preparation can help keep your family safe in any type of emergency. Make a plan and gather essentials now to avoid a truly disastrous situation. You never know when a disaster will strike. Be prepared. Emergencies and disasters often happen without warning, so it is important to prepare before they happen. When you are on dialysis, disasters can make it hard for you to get your treatment because of changes to water, power, sanitation, or transportation. It is important to read and understand your dialysis facility’s disaster plan and to make alternative arrangements for your treatment before and emergency happens. Five-to-seven–day supply Personal Information Form of all prescription medicines. Check the expiration dates of all of your medications each month. Use and replace the ones that are due to expire. Five-day supply of antibiotics if you are on peritoneal dialysis and it is recommended by your doctor. Glucose meter, one spare battery and testing fluid. Five-to-seven–day supply of blood sugar test strips and lancets. Glucose (glucose tablets, Glucagon, oral glucose gel) in case your sugar level drops. Included a completed Personal Information Form with a list of people and organizations you will need to reach. Family, household members, caregivers, and friends will want to know where you are. They may even be able to help you safely leave your home, if you need to. Include on your list your nephrologist (kidney doctor) and your dialysis facility. You will need to let them know if you can’t get your treatments. Include alternative arrangements for your treatment before an emergency. Make sure your dialysis facility has your current street address and phone number(s) in case they need to contact you. Make arrangements for back-up transportation to your dialysis facility. Ask your dialysis facility about other dialysis facilities near you that can treat you if your dialysis facility closes. Contact your water and power companies to register for special priority to restore your lost services. Keep their phone numbers up-to-date on your Personal Information Form. Keep a flashlight and batteries near your dialysis machine. Contact your local dialysis facility about back-up treatment locations both near to and far from your home. As directed by your dialysis team, keep a five-to-seven–day supply of peritoneal dialysis supplies at home. Check expiration dates and replace as needed, or every six months. Learn and practice manual CAPD, so if you lose power, you can switch from CCPD to manual CAPD. As directed by your dialysis team, keep a five-to-seven–day supply of CCPD (and CAPD if you have learned to do manual CAPD) supplies available. Check the expiration dates, and replace as needed. Contact your water and power companies ahead of time to register for special priority to restore your lost services. Keep their phone numbers up-to-date on your Personal Information Form. There are many ways that authorities share emergency warnings, updates, and safety instructions. Take steps now to make sure you’ll get the information you need when an emergency happens. 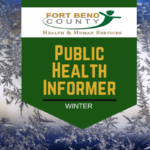 Register with Enable Fort Bend, a registry that assists Fort Bend County departments, such as the Office of Emergency Management and Health & Human Services, plan how to assist people with functional and medical needs in the county during an emergency or natural disaster. If a natural disaster strikes, what will happen to your pet? Be prepared: make a plan and prepare a disaster kit for your pet. Leaving pets out of evacuation plans can put pets, pet owners, and first responders in danger. Even if you try to create a safe place for them, pets left behind during a disaster are likely to be injured, lost, or worse. It is your responsibility as a pet owner to find out what type of shelters and assistance are available in your area to accommodate pets and to include pets in your disaster plan to keep them safe during an emergency. By doing so, you are protecting the health of not only your pet, but yourself, your family, and others in your community. To get started, familiarize yourself with the types of disasters that could impact your area and consider your options for providing care for your pet(s). Be prepared: make a plan and prepare a disaster kit for your pet. Purchase a pet carrier for each of your pets (write your pet’s name, your name and contact information on each carrier). Familiarize your pet with its transport crate before a crisis. Practice transporting your pet by taking them in for rides in a vehicle similar to one you would be evacuating in. Keep a leash and/or carrier nearby the exit. Ensure proper equipment for pets to ride in the car (carriers, harnesses, pet seatbelts). If you do not have a car, make arrangements with neighbors, family and friends. You can also contact your local government to learn about transportation options during a disaster. Close off small areas where frightened cats could get stuck in (such as vents or beneath heavy furniture). Contact local veterinary clinics, boarding facilities, and local animal shelters. Visit the Humane Society website to find a shelter in your area. .
Pet toys and bed (familiar items to help the pet[s] feel more comfortable). Disasters are stressful for humans and pets alike. Practice safe handling of your pet, because your pet may behave differently during a stressful situation. Prepare a disaster kit for your pet. Natural disasters can contribute to the transmission of some diseases. Exposure to inclement weather conditions, stagnant water, wildlife or unfamiliar animals, and overcrowding can put your pet at risk for getting sick. Some of these illnesses can be transmitted to people. Some common disaster-related diseases that pets can pass to people are listed below. Leptospirosis is a bacterial disease found in the urine of infected animals that can cause kidney damage and affect other organs. It is transmitted through contact with infected urine or contaminated water, soil, and food. Visit Healthy Pets Healthy People for more information on diseases animals can transmit to humans. What if I am separated from my pet? Disasters can happen quickly and without warning. These events are frightening for adults, but they can be traumatic for children. As a parent or guardian, you will need to cope with the disaster in a way that will prevent you children from developing a sense of loss. Speak your child’s language. Explain things to your young child using words they understand. Let you child ask questions. Answer all questions calmly and provide plenty of opportunities to talk. Let your children know they are safe. Tell them about firemen, policemen, and other rescue personnel who help during disaster.